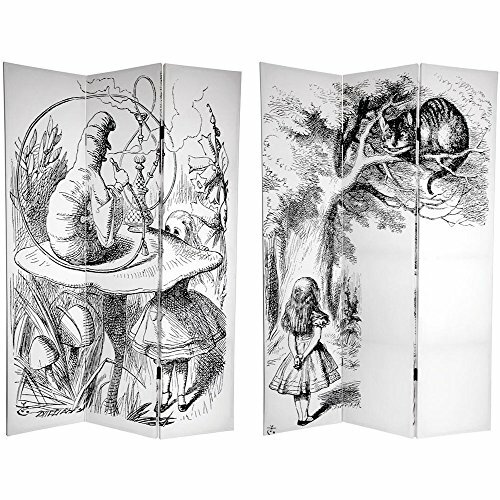 Canvas room divider, with different Alice in Wonderland illustrations on both sides. 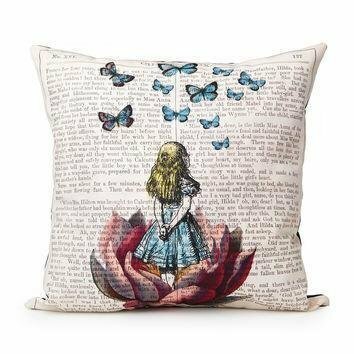 On the front there's Alice with the Caterpillar on a mushroom. 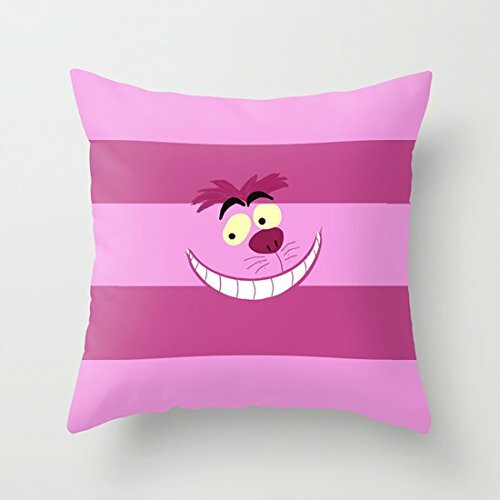 The back depicts Alice meeting the Cheshire Cat. 6 Feet tall. 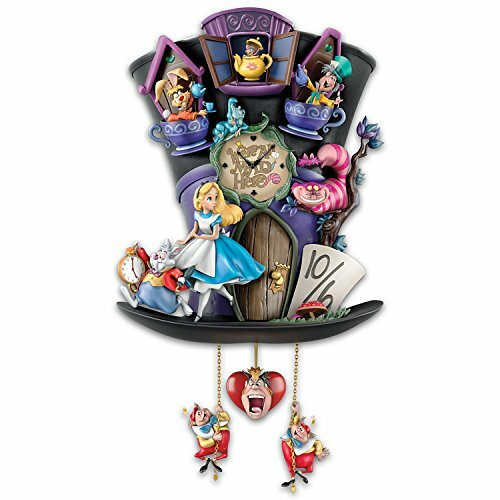 Journey through the looking glass with this fantastic children’s storybook screen. 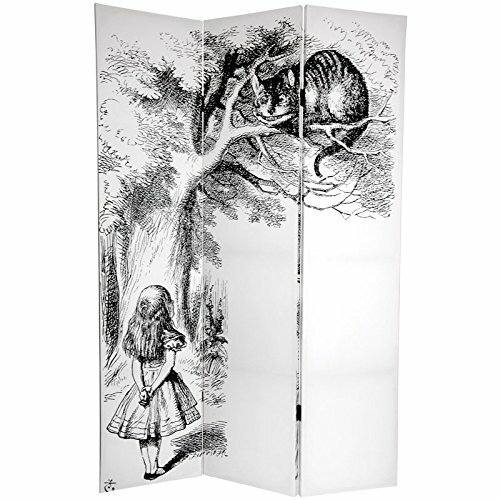 This versatile room divider features the works of renowned British artist John Tenniel, who illustrated the original edition of Lewis Caroll’s “Alice in Wonderland”. 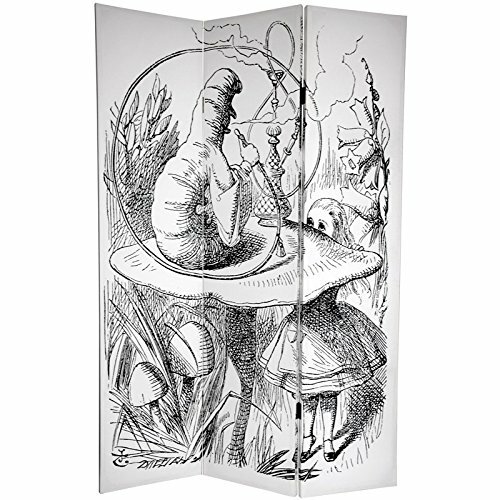 On the front is a whimsical lithographic rendering of Alice in a conversation with The Caterpillar, smoking his hookah on a toadstool. 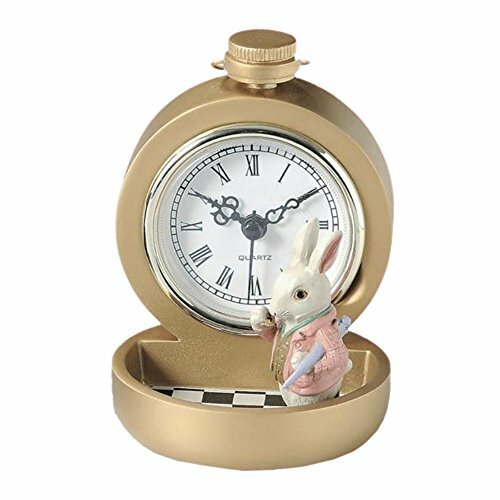 The back depicts our young heroine studying the notorious smile of the Cheshire Cat. 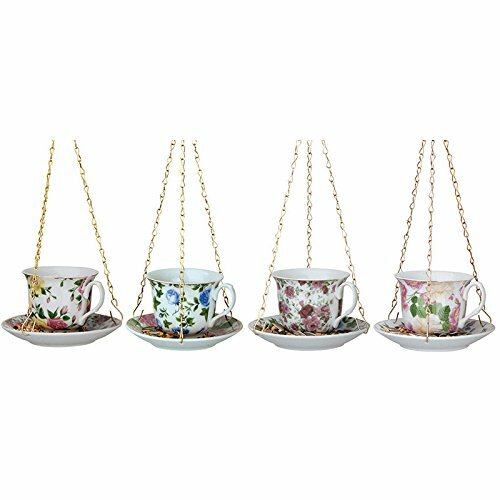 These attractive and unique children’s art prints provide lovely interior design elements for your living room, bedroom, playroom, dining room, or kitchen.